DIASPORIC SOUL presented at and attended the 3rd Annual Dakar Institute for Africana Studies Conference. July 2017. West African Research Center. Dakar, Senegal. Our presentation addressed our leadership development approach for Diasporic Souls that includes short-term study abroad in Senegal and the tenets of self-awareness, healing, wellness, and self-care, radical love, inter-cultural competence and a commitment to global social justice. DIASPORIC SOUL welcomed two very special Diasporic Souls for a 10-day Family, Friends and Kinfolk experience – Ajamu and Rukiya Dillahunt. The Dillahunts, who are long-time social justice organizers with Black Workers for Justice, were Phyllis’ mentors during her years in high school and college. She credits them with planting the seeds of her critical consciousness. Their visit, their first to West Africa, included attending the annual Saint Louis Jazz Fesitval, the May Day parade in Dakar with Dr. Yankhoba Seydi and the faculty union of Cheik Anta Diop University (SAES), visiting Goree, having clothing made by our tailor, and enjoying our vegan cuisine. Our summer was full at Tangor Café as well. We happily hosted members of three Army ROTC Corps Cadets teams over the summer for great burgers, Philly Cheese Steaks, Senegalese plats du jour, tons of ice cream and arguably the best french fries in the country. It was a joy to have our terrace filled with young people from home who came to Senegal to develop their inter-cultural competence. We look forward to having Lieutenant Colonel William J. Carr, his colleagues and another contingent of cadets again next summer. DIASPORIC SOUL is now an official #GenStudyAbroad Commitment Partner. As such, we are committed to contributing to the goal of increasing the number of US students who study abroad. Our specific commitment is to contribute to increasing the number of students of African Descent who study abroad. We also hope to play a role in increasing the number of students who see Africa as a viable study abroad destination. 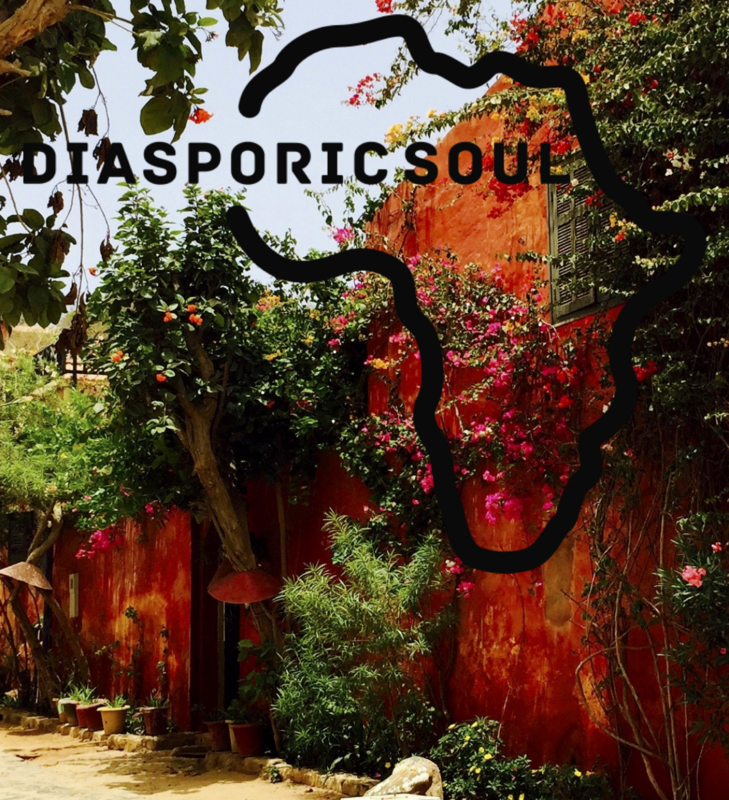 DIASPORIC SOUL provides short-term study abroad in Senegal, West Africa that focuses on leadership development and intercultural competency. Our own Phyllis Jeffers-Coly and Dameta Wright of The Society of Inner Arts (Cincinnati, OH) will be co-facilitating our upcoming six-day retreat for Black woman who are seeking Calm in the Chaos. Our retreat will offer two daily yoga practices with a particular emphasis on restorative and Kemetic approaches. Our healing practices will include breathwork, meditation and the spiritual aspects of martial arts. We are holding space for this retreat in Senegal, West Africa for us to recognize and celebrate our connection to the African Diaspora. This, we believe, will inform our individual and collective capacity to heal, thrive and flourish. In addition to yoga and other healing practices, our retreat will include daily cultural activities and/or excursions, including to Goree Island, the Renaissance Monument and scenic beaches.